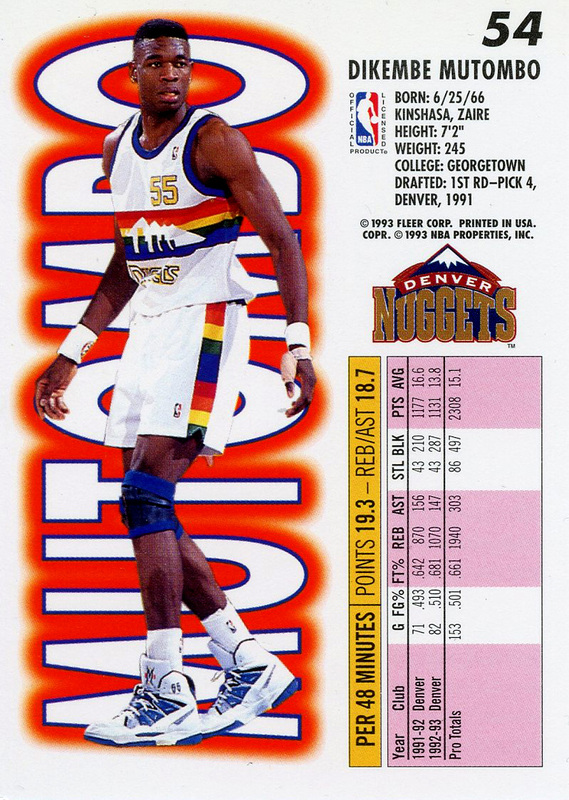 On this week's card we see Dikembe Mutombo in his first adidas signature shoe. This week we flip the card over and take a look at the back of this 1993-94 Fleer basketball card for a look at Dikembe Mutombo in his signature shoe, the adidas Mutombo. Releasing during the 1992-93 season, adidas and Dikembe teamed up just in time for the Cross-Colors / Afrocentric clothing trend that swept through the African-American community. An African themed sneaker was the perfect match for Dikembe, a native of Zaire. 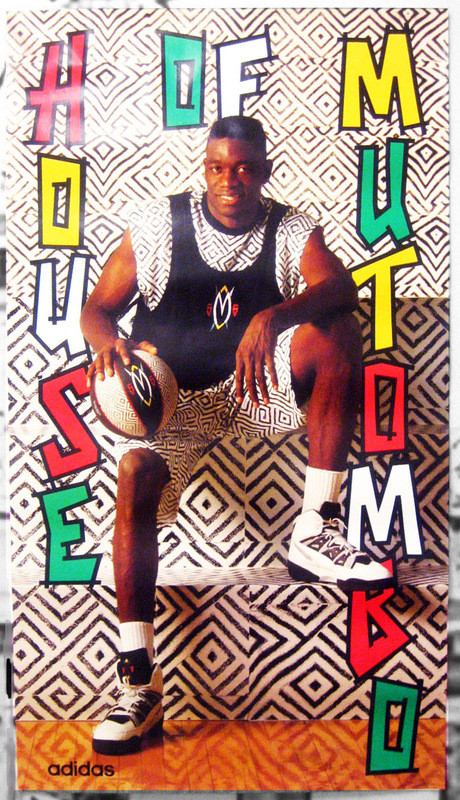 The shoe featured a large African shield logo on the tongue, a geometric diamond shaped pattern influenced by the African textile patterns, and the number 55 on the ankle - Mutombo's jersey number. Here we see the white and blue home version of the shoe. The away black colorway of the shoe was the Afrocentric black, red, and yellow color scheme. The adidas Mutombo is definitely one of the most unique signature shoes ever (and my personal favorite adidas shoe) and a great example of an early 90's cultural trend. If it was designed a couple of years earlier or a couple of years later it would probably not have looked anything like this. The timing was perfect for Dikembe and adidas to team up and make this African themed shoe.